Khalida’s writing is political and aesthetic and feminist and universal all at once. A fly has died. A funeral under the lamp. Mourners gather. They sing elegies. The writer — a woman sitting at her writing desk observing the fly’s funeral — is moved to laughter by this scene. Then what happens? She is unable to complete words. She is deceived by alphabets. Objects mislead her and take on new shapes. She — as a result — loses herself and becomes someone else. Who? Days, weeks, months, maybe years, she wanders with a pen in her hand. She looks outside her window. She sees three sparrows sitting together on an electric wire. She decides that if one of them flies away, she will begin writing. One of them flies away. Now she must write. But right then a fly arrives and sits on the writing paper. The writer adjusts the paper. The fly gets up and sits on her hand. She moves her hand. The fly buzzes away and settles on a book underneath the lamp. The writer grabs a folded newspaper, aims at the fly, and kills the fly in one sweeping motion. This is how the fly died. This is how the story started. The writer laughs. But she can detect a buzzing of wings in her own laughter. The writer is not sure anymore if she is the observer or observed, subject or object, writer or fly. Someone knocks on the door. A government servant has arrived to arrest her. She is guilty of writing about a fly even during times of national crisis. This is what happens, or, more accurately, refuses to happen, in Khalida Hussain’s short story, Zawal Pasand Aurat. The story gets to the heart of one of the most impassioned debates in Urdu literature and, arguably, in postcolonial literature at large: What is political writing? How should writers respond to ‘times of national crisis’? We often make distinctions between political writing and aesthetic writing — writing that confronts the politics of its time and writing that confronts issues of language, form, tone, style and so on. Certain writers are celebrated for resisting dictators, fighting oppressors, calling out hegemonic systems of class, gender, race and sexuality. Other writers are relegated to the obscure waters of ‘art for art’s sake’, esoteric lyricism and experimental prose. Khalida Hussain patiently, carefully and ruthlessly eviscerates this distinction through her short stories. Unlike many experimental writers, she doesn’t simply mix the content of political debates with graphic and phonetic subversions. She brings to bear the aesthetic force of her subversions on the very nature of the political. I propose that Khalida Hussain’s fiction might not be interested in politics, but it is deeply interested (and invested) in the political. In other words, she is not interested in politics in the sense that it is taught in universities or depicted in news media — elected representatives, bureaucrats, law, current affairs, regimes or foreign policy. Instead, she is interested in investigating the very ground on which politics stands — ethics, metaphysics, aesthetics. Or, to put it yet another way, she is interested in the relations between ourselves and other people, between ourselves and other living beings, between ourselves and the world, between ourselves and language and, most importantly, between ourselves and ourselves. Her fiction is imbued with the sense that the symptoms (politics) cannot change until we address the political malaise giving rise to them. And yes, the death of a fly is crucial to this sensibility. This sensibility is nothing new. Political thinkers from Niccolò Machiavelli to Audre Lorde have understood the dependence of politics on other spheres of knowledge. 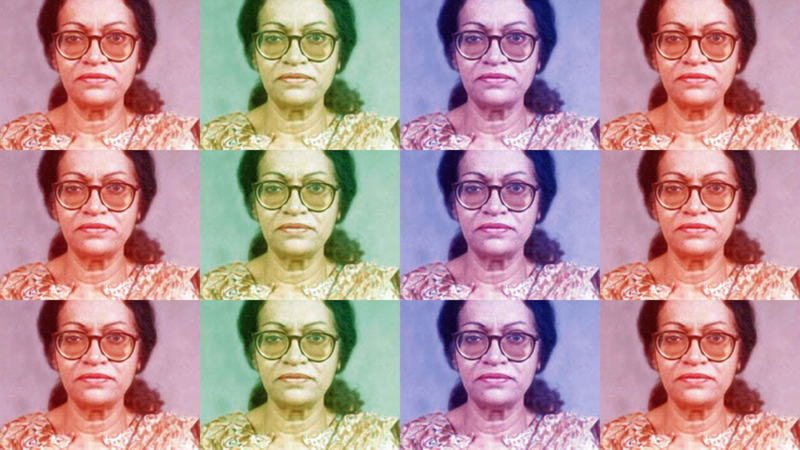 Khalida’s brilliance lies in her ability to situate her political investigations in the particular, day-to-day lives of her fictional characters. A woman observes a fly. A woman kills a fly. A woman becomes inseparable from the fly. These are not the abstractions of Western philosophy. Because it is here — right here, in the particular, in the small, miniscule and mysterious details of everyday life — that the boundaries of reality, of selfhood, begin to dissolve, allowing us a peek inside the political conditions of our lives. Let us take one aspect of her fiction: The treatment of time. Her characters often teeter between sleeping and waking, between living and dying. It is in these moments that time loosens and unhinges from what we call reality. In Zawal Pasand Aurat, the writer wonders about the fly’s experience of time as she observes the fly’s dead body. She reminds us that what is only a moment — an insignificant moment — in the writer’s life could be years and years in the fly’s life. It might have only taken her a few seconds to kill the fly with a motion of her arm and hand, but these few seconds must have been a vast, unfathomable duration in the fly’s experience. Is the human perception of time accurate? Or is the fly’s perception of time accurate? A simple interrogation of time, or rather, our perception of time, leads to an ethical observation: Could I be the fly? Could the fly be me? Am I killing or being killed? Am I observing or being observed? Of course, such an elastic perception of time should not surprise us. After all, this is much more realistic than the secular-real time of the industrial clock. We experience this elasticity in our life every day. 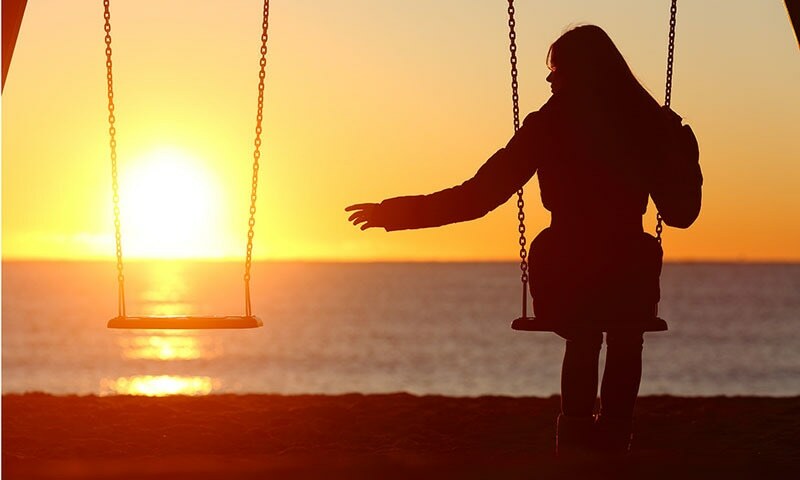 Sometimes time passes quickly, sometimes slowly. This everyday observation about the movement of time becomes an ethical, metaphysical and aesthetic dilemma of incredible magnitude in Khalida’s story. It becomes politically subversive, indeed criminal. It leads to an indeterminacy of position — am I killing or being killed? — which, in turn, destabilises any ‘national crisis’. Who is the nation? Who is the people? Who is the enemy? Such observations do not help the cause of oppositional politics — Us vs Them — but exposes the very foundations of such false oppositions. The government comes knocking at the writer’s door to arrest her. Some of the most important writers and artistic movements of the 20th century have understood this crucial link between politics and aesthetics. When Ralph Ellison set out to write about the hypervisibility/invisibility of the black experience in America, he realised that he must contend with the fluid nature of reality. He won the National Book Award for the novel he produced out of this realisation, Invisible Man. Similarly, when Gabriel García Márquez set out to capture the political and historical realities of Latin America in One Hundred Years of Solitude, he emphasised the fluidity of time and the subjectivity of reality. Is there a more political goal than the creation of a better, more just world? Khalida realises that her aims are political. She is merely reminding us that political organisation is only one way to get there. The writer’s struggles to capture the outer and inner worlds are just as important to the achievement of this goal. 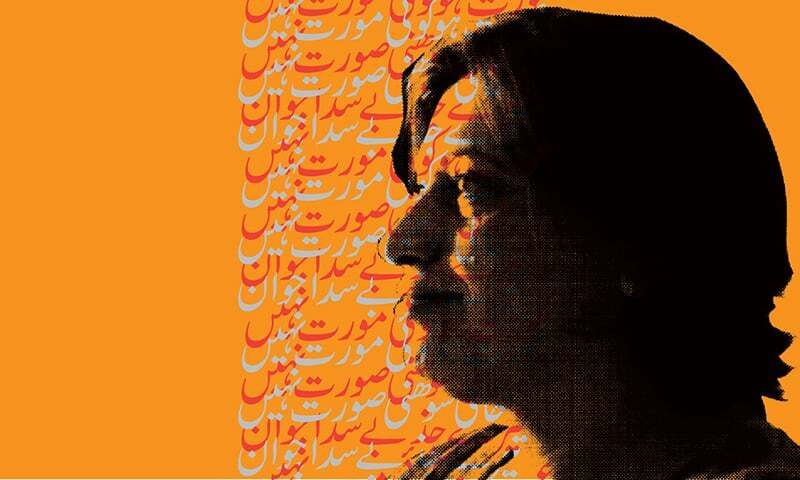 Khalida’s writing is not political or aesthetic, feminist or universal. It is political and aesthetic and feminist and universal. It is all that at once. It is the stripping away of categories, of the boundaries between categories, to remind us that what we call reality is far more fluid, far more mesmerising and, yes, far more revolutionary than classical definitions of reality and selfhood allow us to imagine. This understanding of the multiplicity and interdependency of realities, selves, and knowledges is Khalida’s gift to us. And it is the best gift a writer can give its readers. 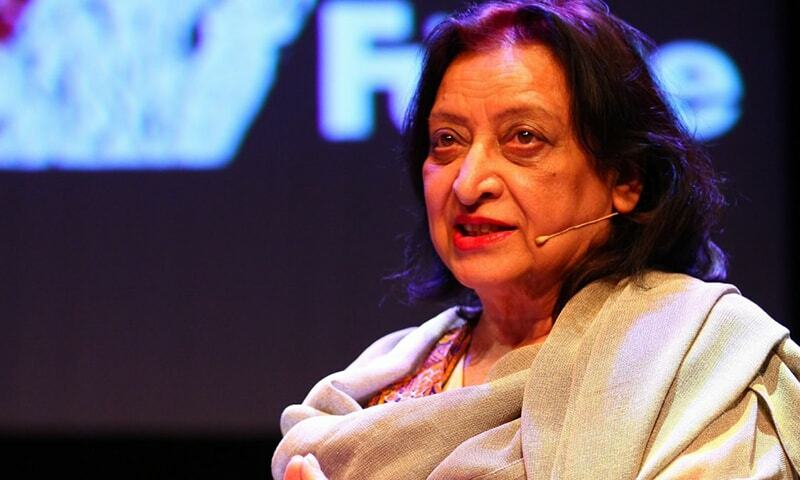 Khalida Hussain passed away on January 11. If she was here with us, she might have asked: Am I alive? Are you dead? Is any of this real? I hope you will continue to ask the questions she tried to ask in her fiction. I hope you will pray for her and read her work. Haider Shahbaz has a degree in History from Yale University. He currently lives in Lahore and teaches at FC College. His reviews have appeared in Los Angeles Review of Books, Jadaliyya, Himal Southasian, and elsewhere. His translation of Mirza Athar Baig's Urdu novel Hassan Ki Soorat-e-Haal is forthcoming from HarperCollins India.